The headlines were immediate, and worldwide. 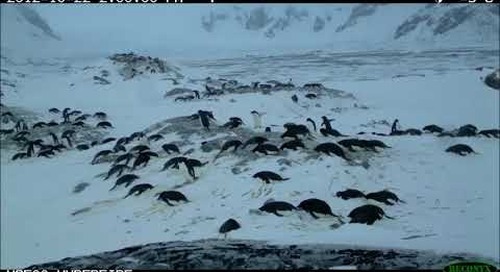 “A hidden metropolis of 1.5 million penguins has been discovered thriving out of humanity’s reach.” “Previously unknown ‘supercolony’ of 1.5 million penguins discovered in Antarctica’s remote Danger Islands.” Scientific journals and major international newspapers ran the story, from the New York Times to CNN to the BBC, providing never-before seen footage of one of the largest penguin colonies on earth. 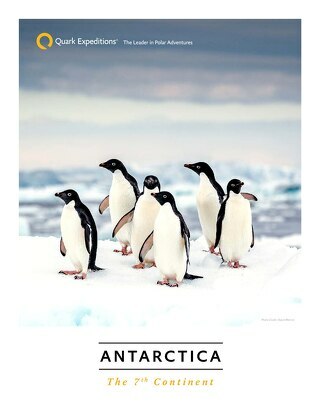 So close to World Penguin Day, which falls on April 25 of this year, we are thrilled to see such worldwide interest in penguins and Antarctic wilderness they call home. With growing global enthusiasm for penguins, and on the heels of such a remarkable body of newfound knowledge, Quark Expeditions encourages people around the world to get involved, join the growing community of citizen scientists, and actively support penguin research in Antarctica. 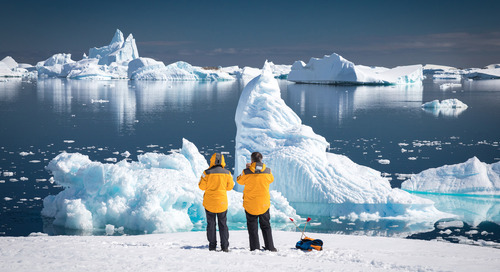 Founded in 1991, Quark Expeditions was at the forefront of expedition-based polar tourism. And at the heart of the company’s mission from the beginning was science, education, exploration, and discovery. 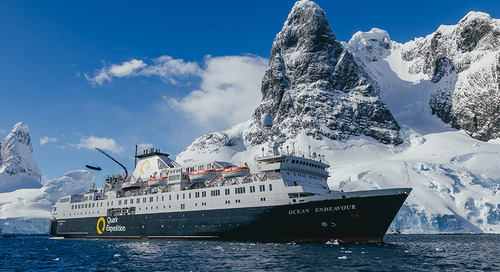 With this commitment to science and education, Quark and field-going scientists created a plan: since our expedition ships were already visiting the Antarctic Peninsula, it made perfect sense to invite penguin researchers onboard to provide transportation and logistical support to and from the field. Visiting known penguin colonies with modest regularity, the early researchers established more than 50 sites along the Antarctic Peninsula and associated islands to set up time-lapse cameras—cameras that would collect image-based data throughout the year to monitor penguin colony populations and their changes over time. 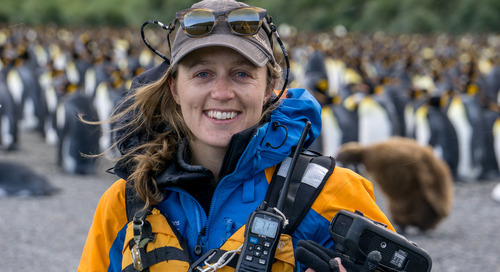 That relationship continues to this day, with penguin researchers joining various Quark Expeditions voyages throughout the Antarctic season, providing lectures to our guests while aboard the ship, and conducting important field research when we make landfall. 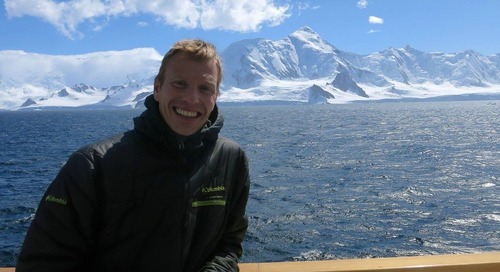 Dr. Tom Hart of Oxford University spearheaded this program, originally called Penguin Lifelines but now known as Penguin Watch, and has traveled aboard Quark vessels to his research sites since 2010. He continues to do so to this day. It was he, along with colleagues Dr. Mike Polito of Louisiana State University and Dr. Heather Lynch of Stony Brook University (amongst many others), who found themselves communicating their discovery of the Adelie penguin “supercolony” on the Danger Islands to newspapers worldwide earlier this year. As the name indicates, the Danger Islands are not easily accessible. They are a cluster of islands that lie to the immediate east of the northern tip of the Antarctic Peninsula. On the map, they don’t seem terribly remote. They’re less than 20 nautical miles from Joinville Island, and less than 50 nautical miles from Paulet Island—both of which are visited annually by Quark Expeditions. 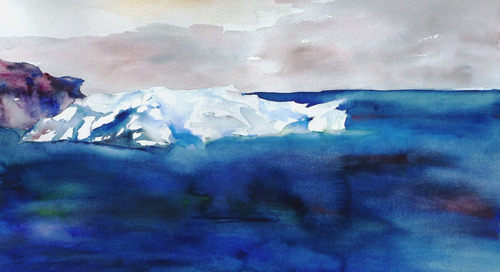 However, in terms of nautical travel in Antarctica, sea ice conditions are everything. And the Danger Islands lie directly in the path of a massive northward flow of sea ice in the northwestern corner of the Weddell Sea. There is so much sea ice that it makes visiting these islands nearly impossible. 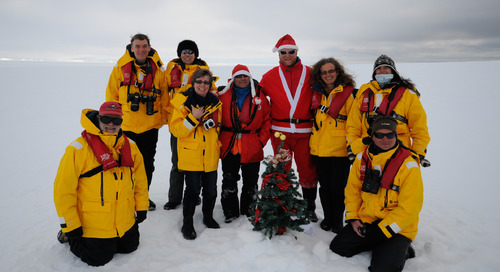 In addition to its commitment to education, support for science, and passion for discovery, the combined experience of Quark Expeditions Staff and the bridge officers aboard our vessels provide the hunger and the expertise to go deep into polar wildernesses and reach places like the Danger Islands. Staff and officers have decades upon decades of experience in the polar regions, and continue to be students of sea ice and weather, learning more and more with each passing season. This experience cannot be underestimated. It is an accumulated body of knowledge, the ability to read ice charts and weather forecasts and the ability to safely use all the available tools and resources to make sound decisions that allow Quark to push further into the polar regions to places rarely, if ever seen before. I can’t tell you how many late nights I’ve seen our Expedition Leaders counseling with the ship’s captain, pouring over the latest ice charts and wind forecasts, determining where the ice would open up and what routes and access points it would close off, only to see them huddled together early the next morning, discussing updated forecasts and revising plans. With sea ice, you can’t just look at what the forecasts say at a given hour. You have to also consider trajectories and patterns. What has the ice done for the past ten days? What is the wind doing, and what is it forecasted to do? Where can the wind and current push the ice, and what happens to the ice if the wind suddenly changes direction? Will there be alternate routes? Safe exit points and plans to vacate the area if the ice begins to close in? All of these factors enter the Expedition Leader and Captain’s calculus before making any decision. Every year, these men and women make safe decisions based upon ice, and take guests to some of the most wonderful corners of the world, providing opportunities for people to have truly profound experiences in polar wildernesses. And every now and then, the ice charts and weather forecasts align in just the right way to push further. This season was one of those moments. In February, Dr. Polito was aboard one of Quark’s ships—the Ocean Endeavour. 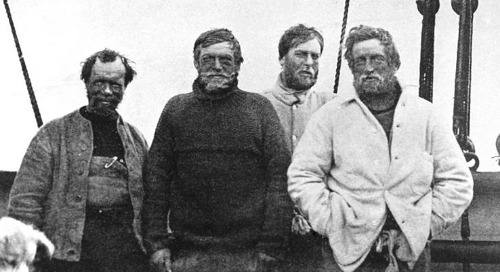 The ship was in Antarctic Sound on the north end of the Peninsula, a place well known for massive tabular icebergs with origins in the Weddell Sea. It’s also known for some massive penguin colonies, namely Paulet Island, which is home to more than 200,000 Adelie penguins and visited several times each year by Quark. But Dr. Polito had his hopes set on islands just out of reach: the Danger Islands. 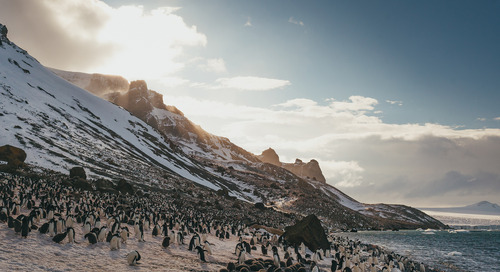 A place he and colleagues visited in 2015 when they first made the discovery that these islands were home to more than 1.5 million Adélie penguins. During their first visit they left behind two time lapse cameras to record and monitor this penguin supercolony, but due to the challenging nature of the northwest Weddell Sea, the team did not have another opportunity to return to their cameras and retrieve the image-based data. Until this year. Since 2015, the Danger Islands supercolony remained inaccessible. Too much ice, too hazardous of conditions to access by ship, too remote, expensive, and intrusive to access by helicopter. But in January 2018, aboard the Ocean Endeavour, Dr. Polito finally returned to the Danger Islands, and retrieved the memory cards from the two time-lapse cameras. This lucky return visit was just in time, as the results of the initial 2015 visit population estimate were published on March 2nd, 2018 leading to the sensational international news about the supercolony’s discovery. In the past months, this team of scientists has been working hard to analyze the footage recovered from the Danger Islands to better understanding the implications of their findings. Chief among these goals is to understand the utter density of Adelie penguins thriving on this outpost of islands on the eastern side of the Antarctic Peninsula, which stands in direct contrast to the dwindling numbers of Adelies on the western side. Further research is needed, and the questions to be addressed will focus on the presence of sea ice, the population of krill and the presence of commercial krill fishing boats, and climate change. In the spirit of science and education, Quark Expeditions will continue to provide support in pursuit of these answers. Antarctica, not just the Danger Islands region, is a remote place—one of the most remote places on earth. 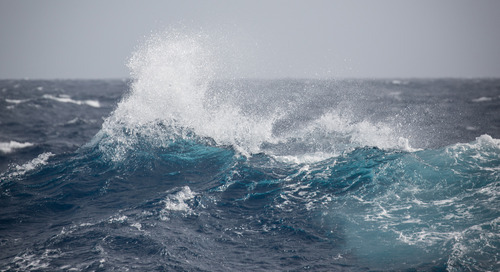 Yet due to the persistence of dedicated scientists like Dr. Hart, Dr. Polito, and Dr. Lynch, we’re developing a better understanding of the rich and abundant life at the continent’s edge and the cold Southern Ocean waters that surround it. The sea ice, which develops to its maximum extent in late winter and early spring, is the keystone holding the entire food web together. Sea ice is the perfect platform for phytoplankton, microscopic plant organisms that serve as the feeding grounds for grazers. Think of the wild grasslands of the Serengeti or the Central Asian Steppe, and the millions of ungulates who depend upon that rich bounty of plant-based food. Except the grazers in Antarctica aren’t antelope or deer. They’re krill, tiny shrimp-like crustaceans that thrive in the billions in the Southern Ocean. It's these krill that are the primary food for a suite of Antarctic wildlife, from seals to whales to seabirds to penguins. Most of the wildlife we think of when we hear the word “Antarctica” has a direct relationship with krill. It is also these krill, in direct relationship with sea ice and penguin populations, that have been and will continue to be the focus of our friends and researchers at Penguin Watch, Oxford, Louisiana State, and Stony Brook. The team at Penguin Watch relies on citizen scientists, everyday people like you and me, to help with their research. 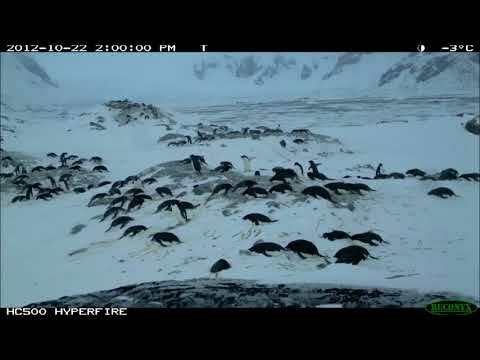 Each camera throughout the Antarctic Peninsula collects multiple images of penguin colonies every day. To accurately analyze these colonies, and any changes they encounter, Penguin Watch set up a website that allows people from all over the world to directly participate in their research. Images from each camera are uploaded onto the Penguin Watch website, where people can download real photos from Antarctica, count the number of penguins and nests they see, and submit their results. 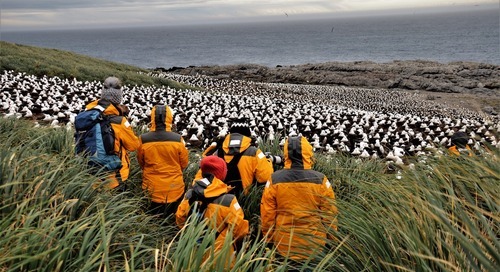 Redundancy is built in to ensure accuracy, but this cumulative body of volunteerism, the active participation of citizen science from California to Norway to South Africa to China (and nearly everywhere in between), makes it remarkably efficient for the scientists to record and analyze penguin colony populations. It really is amazing to think about. 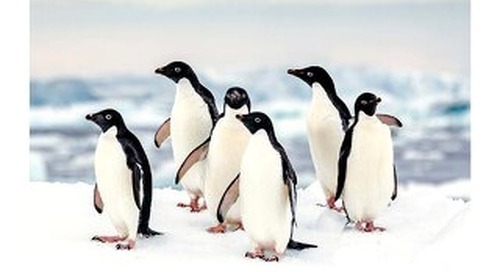 As kids, we often think of penguins as iconic birds from another world. Animals that, if we’re lucky, we’ll get to see at some point in our lifetimes. Yet here is a genuine opportunity to get involved in their research. To contribute to a more thorough understanding of who they are, where they live, and how any changes in their populations might indicate larger realities about their environment. Participation in tangible Antarctic science that helps us feel connected to that beautifully ice-covered continent at the bottom of the globe. On World Penguin Day, and every day for that matter, join Quark Expeditions and Penguin Watch, and become part the citizen science community. 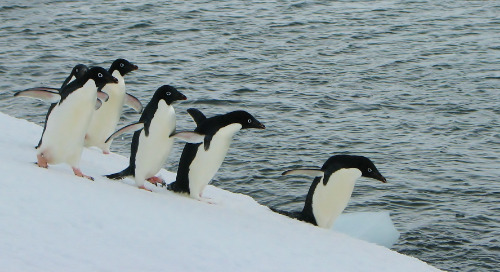 Log onto penguinwatch.org and help understand the Danger Islands supercolony, and the sea ice upon which it depends. 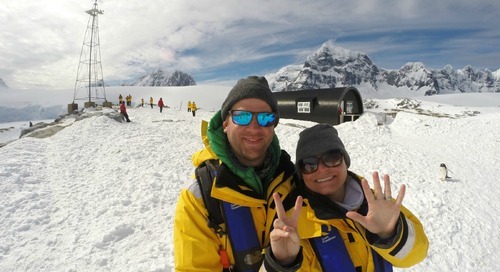 Want to travel with Penguin Watch on a Quark Expeditions adventure to Antarctica? 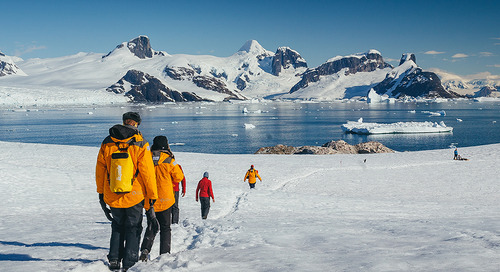 Check out our Falklands, South Georgia and Antarctica: Explorer and Kings Nov. 14 - Dec. 3 2018 itinerary.